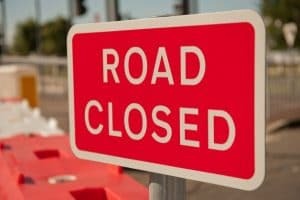 Hundreds of drivers across the UK are placing themselves and others in danger every year by deliberately ignoring road closures, new data has revealed. Figures published by Highways England have shown that four drivers per month are entering closed off areas of the M60 and M62 near Manchester, while this problem extends to many other carriageways across the country as well. This is therefore a widespread problem and one that has the potential to cause serious harm to both drivers and individuals working on these closed stretches of road. Across the UK, more than one-third of incidents (34 per cent) involve drivers ignoring slip road closures, while 29 per cent relate to motorists crossing barriers or cones at the side of the motorway to overtake. A further 26 per cent of incidents relate to drivers ignoring lane closures on motorways, while a shocking six per cent involve people ignoring full carriageway closures. Natalie Brinkley, brand manager at Fuel Card Services, adds: "Road closures are not there to add time and frustration onto a driver's journey; they are implemented to keep travellers and engineers working on the carriageway safe. "All road users need to obey signage denoting any closures or diversions, as failure to do so can put themselves and others at serious risk."